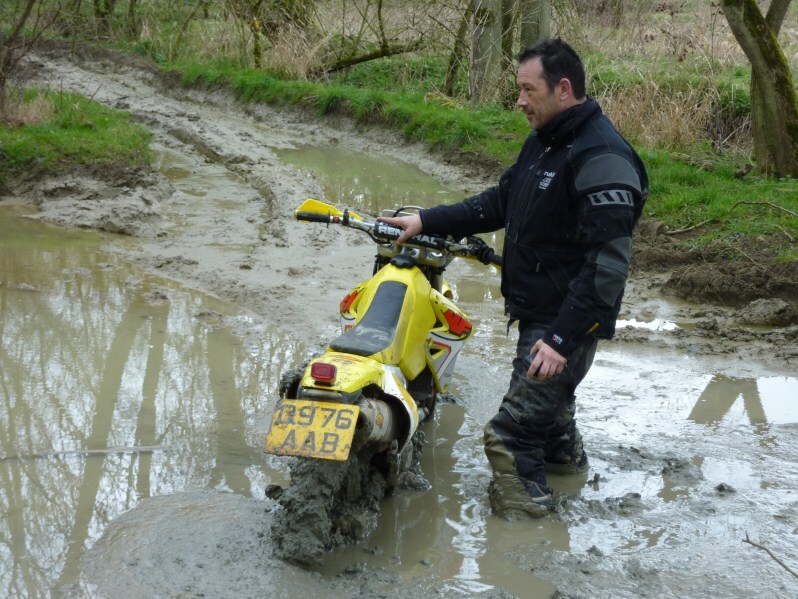 It’s the bane of even the most experienced rider, but once you’ve mastered the right technique, riding through mud can be enjoyable, Robert Wicks, author of Adventure Riding Techniques: The Essential Guide to All the Skills You Need for Off-Road Adventure, shares his secrets. 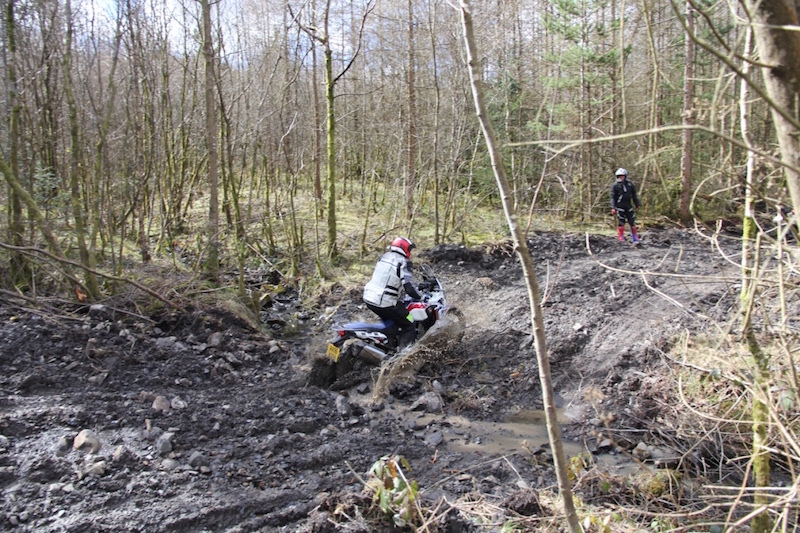 It can make for some great photographs and post-trip stories, but riding through serious mud is arguably one of adventure riding’s tougher challenges, particularly for someone who is still building their confidence. Ultimately practice makes perfect and you should remember it’s a skill that can be difficult to master but worth having in your repertoire in case you get into a tough situation. 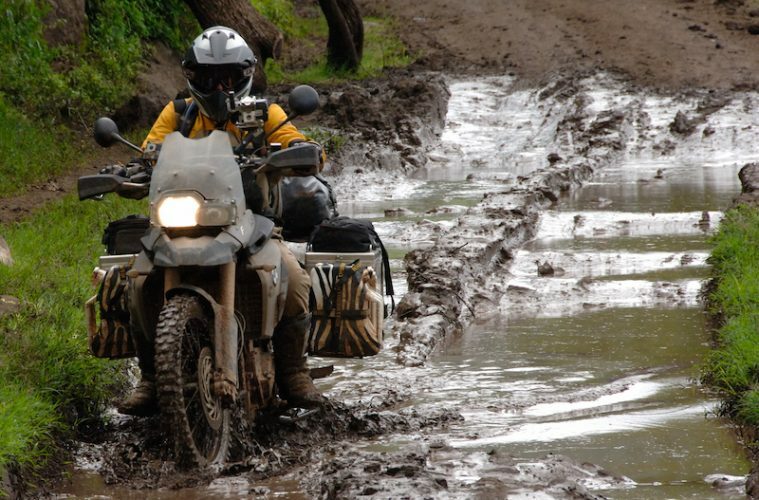 Riding in unpredictable conditions such as mud generally means less traction to count on, hence less control. 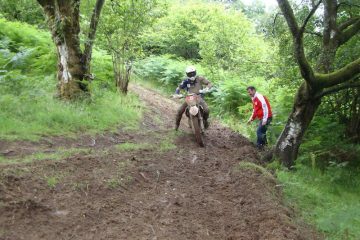 Unlike more stable surfaces, riding through mud means you need to plan further ahead for any change in speed or direction, and to then make this change at the appropriate time. Be aware that mud conceals what’s beneath, so be prepared for unexpected ruts and stones. Generally speaking, there are no secrets or easy answers for a rider wanting to move a heavily-laden adventure bike through mud. As a general rule, walk it first and if you can’t stand on it, you probably can’t ride it. Technique can vary from standing up, through to a lot of paddling with your feet as you proceed. Be prepared to take your time – moving through thick mud can be a slow process. If the mud is not too deep and you can still stand up, use the neutral position. If you feel you are losing traction, then shift your weight to the back of the bike. to help the rear wheel grip and drive. If you are losing steering control, then try to move forward to put more weight on the front wheel, helping it to grip and steer. 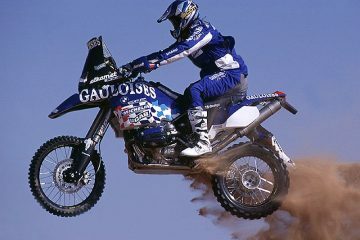 Ride in a taller gear, keep the revs low, and ‘feather’ the clutch when necessary. Momentum is your friend, especially on a big bike, so carrying a degree of safe speed will always help in these conditions, and linked to this is the need, where possible, to use open, flowing lines which will help to maintain your speed. Remember at all times to try and pick the line which offers the most grip. If you do feel the bike moving about, remember that you can move and adjust your bodyweight to compensate. That said, these need to be subtle adjustments and you should try to avoid any sudden changes in weight shift or throttle oscillation. Steering control in loose conditions resides in the legs and hips, and you will find the bike is tremendously responsive to peg inputs. The principle of keeping the tyres perpendicular to the surface is most important, as even a slight angle can send you sprawling. 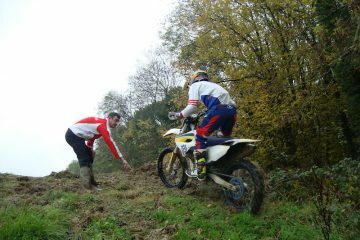 In muddy ruts, always try to align your body and the bike so that you are not fighting the edge of the rut, but try to keep the front well weighted to maintain grip and steering control. A gung-ho approach of blasting at speed through a long patch of mud seldom works for bigger bikes. Instead, commit, look up and ahead, and keep the bike moving at a brisk walking speed. 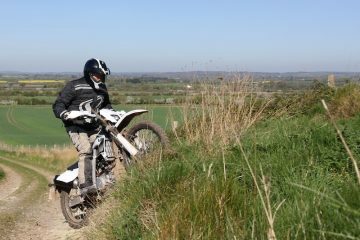 Your bike may also overheat during a period of slow riding and higher than normal revs, so check the radiator to ensure that it is not caked with mud. Make sure your bike has tyres that are best suited to dealing with the mud. A road-going tyre or even an intermediate tyre is always going to struggle. You might also want to look at moving the front fender up so it doesn’t clog with mud and hinder rotation of the front wheel. 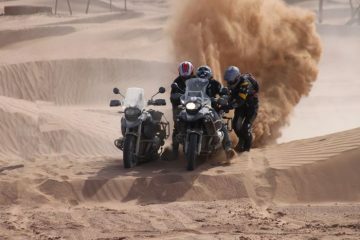 If you do get stuck, jump off quickly and push with the bike in first gear – oh, and take that all important photo to show your mates!